This week, in honor of Father’s Day this past Sunday, the Top 10 Show, featuring John Rocha and Matt Knost, did a topic listing the Top 10 Dads in Movies. This was a topic that I actually considered doing myself as a post here on EYG on Father’s Day, but did not get around to it. I am glad that I didn’t because now I can do it here. Plus, I am early today as my schedule opened up this morning so I am getting this done quickly. There are a ton of fathers on the list, and I have a healthy honorary mention section as well. Strangely enough, a lot of the fathers on my list are fathers that might not necessarily be considered good fathers. Fathers that are absentee or who do bad things. Most of the really bad dads here made the honorary mentions and not the top 10, but …oh well. #10. Mr. Perlman (Michael Stuhlbarg) – Call Me By Your Name. I hadn’t thought of this one until I saw one of the posters on YouTube after listening to the Top 10 Show, but it is a really good pick. He is so understanding and loving toward his son who has been going through so much confusion and angst dealing with his sexual orientation that this makes you wish that everyone had a father this kind-hearted and understanding. He is played wonderfully by Michael Stuhlbarg and was one of the standout parts of that movie for me. #9. John McClane (Bruce Willis) Die Hard. Yeah, John and Matt poo-pooed this choice, but I love John McClane and the Die hard series and I am including him on the list. John’s daughter was a key component in Live Free and Die Hard, which I liked, and his son was in the horrible fifth one. Both kids were there in the first Die Hard, leading to a huge plot point, so I believe he fits here. 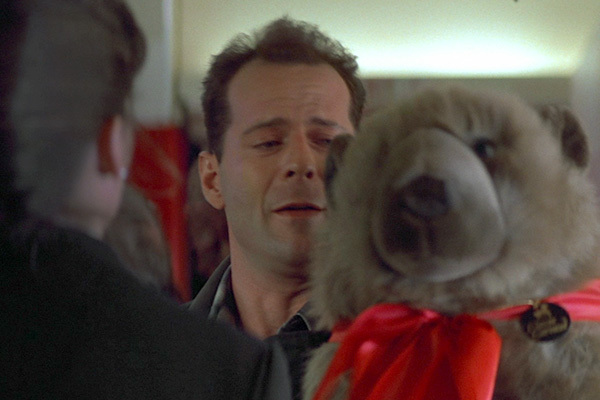 Sure he is a bit of an absentee father, but he brought them a giant stuffed bear, so what more do you want? #7. Atticus Finch (Gregory Peck) To Kill A Mockingbird. The quintessential Southern gentleman, but one who is willing to fight for what he believes is right and to show that belief to his daughter Scout. Atticus always had time for Scout despite being enthralled by a major case that was causing strife across Maycomb County, Alabama. Gregory Peck is tremendous here as well. #6. Matt Drayton (Spencer Tracy) Guess Who’s Coming to Dinner. I think this is another great father. 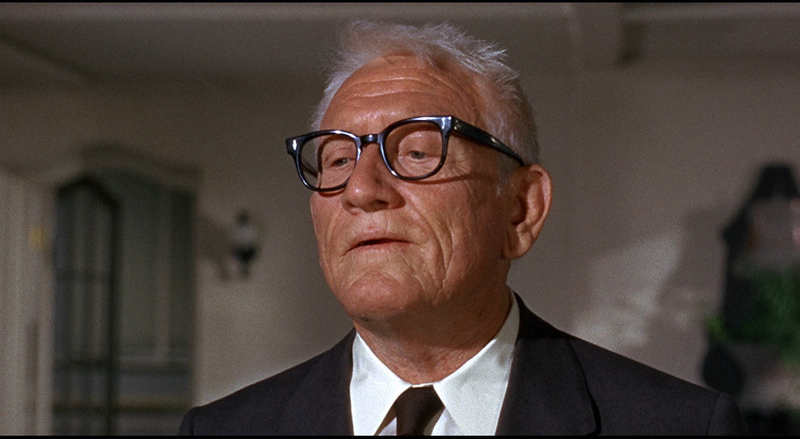 In the final days of Spencer Tracy’s life, he got this role and he was wonderful in it. He was a progressive father who believed in rights and dignity for all people, but when his daughter comes home with an African-American fiance, he is taken aback. Not because of race, but because of his fear for what his daughter will have to face in the world. The movie is spent with Matt tying to decide whether he could give his blessing to this pairing or if he had to speak out against it. Even after making the decision, Matt was worried about it. He was a great father. #5. Mr. Incredible (Craig T. Nelson) The Incredibles and Incredibles 2. Bob Parr was a good dad, but in Incredibles 2, he learns how to become a better dad. Oh, and he is a super hero. In the course of two films, Mr. Incredible had to face the reality of losing his family, getting them back, struggle with a new role in his life, fight against his own instinct to help people, learn new math, deal with his baby’s super powers and his daughter’s drama. Oh, and Syndrome and Screenslaver as well. #4. Marlin (Albert Brooks) Finding Nemo. Marlin chased his son Nemo across the Pacific Ocean to save him from the horrors of the sea. He could not even think about the loss of his son and it spurred Marlin on to do things that he never thought he could do. There are so many emotional beats in Finding Nemo that it is one of Pixar’s greatest films. 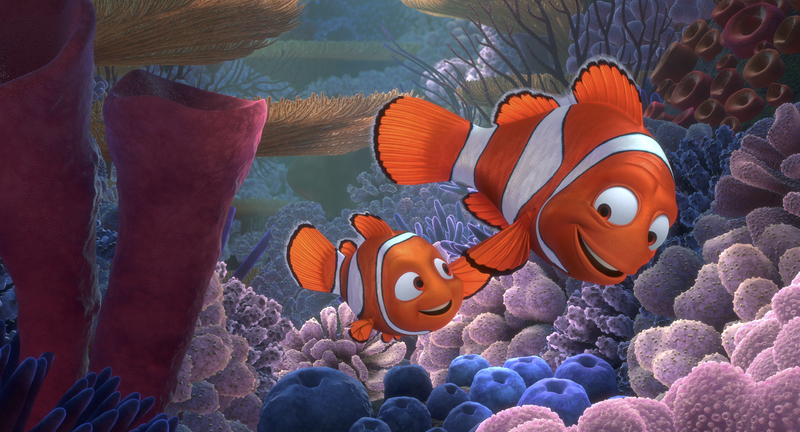 The father-son relationship between Marlin and Nemo is at the center of the entire movie. Marlin also is able to learn a lesson about letting go and trusting his son, a lesson that was hard to learn after the loss of his wife. #3. Daniel Hillard (Robin Williams) Mrs. Doubtfire. Daniel Hillard went to extremes to be able to see his kids after they had been taken away from him in court. He dressed up as a British nanny and started working for his ex-wife. 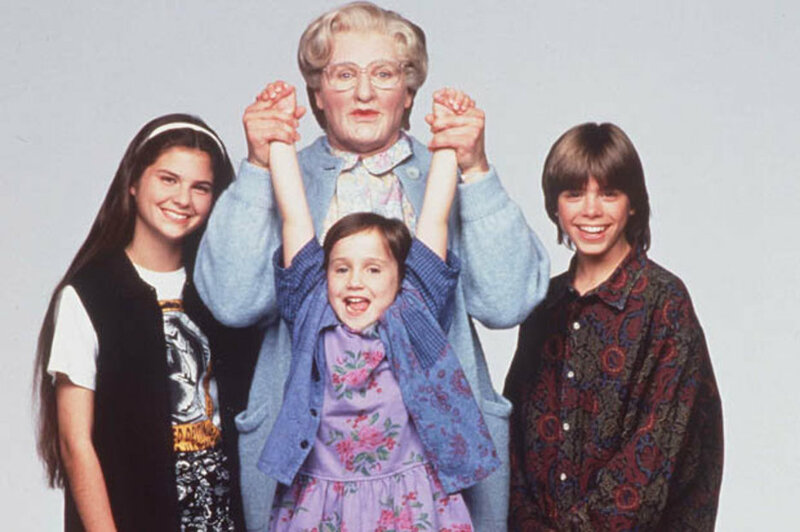 Robin Williams is amazing in this role, as Mrs. Doubtfire gives him a chance to break out his atypical humor in a family setting. Sure the story is far fetched, but you cannot deny the heart and warmth of this movie and the humor with which Robin Williams approaches the character. #2. Bryan Mills (Liam Neeson) Taken. ” I don’t know who you are. I don’t know what you want. If you are looking for ransom, I can tell you I don’t have money. But what I do have are a very particular set of skills, skills I have acquired over a very long career. Skills that make me a nightmare for people like you. If you let my daughter go now, that’ll be the end of it. I will not look for you, I will not pursue you. But if you don’t, I will look for you, I will find you, and I will kill you. ” Any father able and willing to do this is the kind of father you want to have, right? #1. Dr. Henry Jones Sr. (Sean Connery) Indiana Jones and the Last Crusade. Got to agree with Matt Knost, Dr. Henry Jones is awesome. 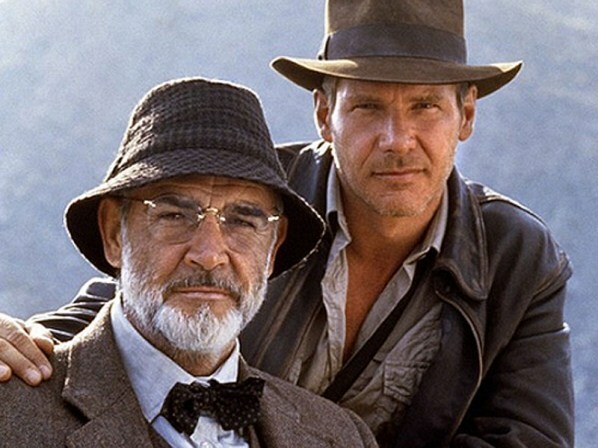 Certainly uncharacteristic in fatherhood, Dr. Jones was able to raise Indiana Jones to be a good man with a great mind and give him the strength to be independent. He didn’t coddle him. Sure, sometime Indy wished he had something different, but in The Last Crusade, you see this relationship come to the front and it is the most important relationship in either man’s life. The moment when Henry calls him Indiana (not Junior as he did all movie long) was filled with so much subtext that it is one of the best moments in the Indiana Jones franchise. It is sad that they only had one movie together.